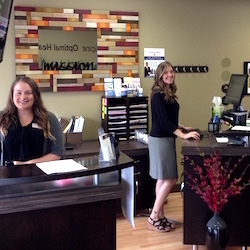 Our warm, welcoming office is full of smiling, friendly faces who are ready to assist you in any way possible. Mission Family Chiropractic is a busy place where all members of your family will feel at home. Kids are free to explore, and you might run into your family and friends who are here for an appointment. Televisions play information about health or upcoming events. We run our practice efficiently, reducing your waiting times and making your visits prompt. On your first visit, our goal is to find out how we can help you. The paperwork we’ll need you to fill out can be found on our website and brought in with you completed. When you arrive, we will start by discussing your history and current health challenges. Then, we’ll do an examination to determine if there are misalignments causing nerve pressure that prevent your body from being able to heal. If X-rays are necessary, they can be taken on-site. If Dr. Wood determines that he can help you, we’ll schedule you for a second visit. This appointment takes about 30-40 minutes. Your next visit is a doctor’s report where we detail the results of your examination. We’ll discuss how our office approaches improving your health and the type of chiropractic care we offer. We will discuss how patients with similar problems have responded to our care in the past. Dr. Wood will talk through a plan of how we can help you achieve your goals. You’ll be here for shorter amounts of time on your regular visits. When you arrive, you can scan in via our paperless software system and we strive to help you by making your visit efficient. Dr. Wood will check your full spine and nervous system and adjust any areas that need it every visit. It’s your decision as to how long you’d like to continue seeing us. We strive to help your body heal the best it can. Once you’ve gotten better, you can choose if you’d like to continue your progress by having regular checkups, which we call wellness care. Activities of everyday living such as sitting at a computer or working a trade cause misalignments, which regular checks can help to eliminate so you prevent future problems from developing, and live life at your best! 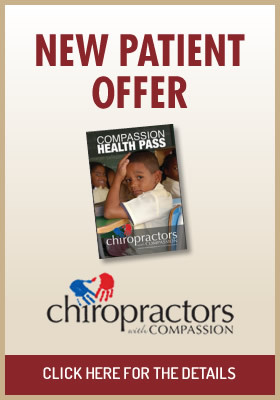 If you see us for an appointment and don’t need an adjustment, you won’t be charged for the visit. That is always a great sign! You’ll get a well-rounded education at our office from Dr. Wood. The televisions display health information, and you can receive Dr. Wood’s health article of the week, called “Chirothots,” which details topics and information about health and lifestyle. We hold advanced workshops in our practice throughout the year that we welcome our clients to participate in. There are 40-day lifestyle and nutritional challenges, exercise challenges with routines developed by a personal trainer just for our clients, or workshops on subjects like the immune system or reducing the impact of stress on your health. 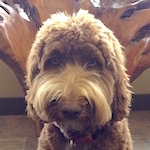 Depending on the day, you may also see our family dog Murphy at the office (don’t worry, he’s hypoallergenic!). His breed was developed specifically for therapy applications, so he is extremely gentle and loves people of all ages. If this is a concern just let us know, we would be happy to accommodate that. Free, ample parking is available. Contact us today to find out what we may be able to help you with!